Jenny Bruso is a self-identified fat, femme, queer, writer and former indoor kid who, in 2012, went on an accidental hike revealing a new life trajectory of healing, self-care and adventure in the outdoors. 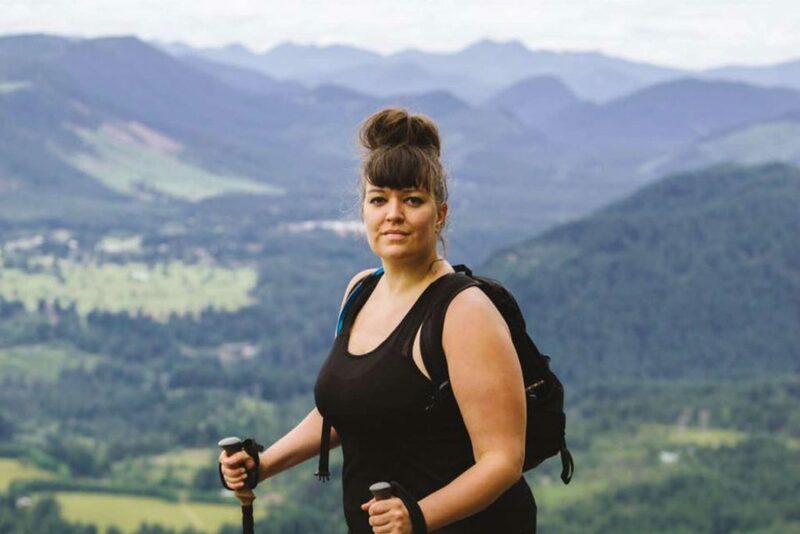 Through sharing her personal stories and the @UnlikelyHikers Instagram community, she wants to bust up preconceived notions of what an outdoorsperson looks like and put a spotlight on diversity, inclusion and visibility. In this episode, Jenny tells the story of her very first hike and of how she wound up starting a community for folks who don't necessarily fit the mainstream profile of an outdoorsey person. We talk about our relationship with exercise growing up, what we get from hiking and being in nature, and the benefit of doing something you aren't immediately good at doing. We also dig into depression, the stress and reward of running your own business, grappling with how to earn enough money to do the work you want to do, and so much more. One of my favorite things is when someone is willing to be honest about their life in real time, even if (especially if!) they don't have all the answers. Jenny's openness in that regard was really refreshing, and I hope you love this conversation as much as I did. Loved this episode! Your conversation was really thoughtful, reflected, critical and yet warm and fun. Made my day, thanks so much.